It was spring in Malawi. The skies were the bluest they could be, and the trees just as green. The CMM’s children and family mobilization team, Weave, was en route to visit a family who had caught a glimpse of God’s heart for the nations, and they were blown away by their discovery. The team walked into the home of the Kachala family, where maps covered the walls. One wall displayed a world map where the parents, Reuben and Elisabeth, gathered to pray as a family for the unreached. On another wall hung a map of India, where God had led their family to serve among an unreached people group for a few years before calling them home to mobilize the Malawian church. In another room was an inflatable globe. As the teenage Kachala children, Maya and Paul, tossed this globe, the family told stories of how they had used it to play games and learn about the 10/40 Window as the kids grew up. The Kachalas attended a Weave workshop during the 2015 Global Mobilization Conference, where they learned that there was an entire community of Christians devoted to mobilizing families and children. Although this was their vision long before they encountered Weave, this pairing of identical visions started the Kachalas down the path that God had for them. It was obvious to the Weave team that the Kachalas believed God created them to make His glory known around the world. They could tell by the maps on the walls, but mostly they could see it in the family’s eyes as they talked about the nations, and they could hear it in their voices when they shared about their home life. When the Kachalas discovered their family could be a part of reaching the nations, they chose to integrate intentional activities into their family time–not because someone convinced them to, but because they were gripped by a conviction that God could use them to bless the nations. This conviction was birthed in Reuben’s heart when he began praying for the nations in Bible college. During this time, he came to realize that his entire family could join him in praying for the nations. He shared his conviction with his family, and as they began praying, they quickly caught the vision as well. This is what the Weave team desires to see in all regions of the world. They long to see families discover God’s global purposes, and they are passionate about equipping families to live these purposes out in everyday moments. The Kachalas desired to continue sharing their conviction with others so Weave introduced them to the Big Story Training, a program specifically designed for families who want to teach their children how they can play a part in the Great Commission. The Kachalas went on to host and multiply Weave’s Big Story Training by becoming Big Story Trainers themselves. They began to teach other families in the community how to pray for the nations of the world, and helped them see that they each had important roles to play in reaching these nations. One such family began regularly praying for 31 different unreached people groups, after being mobilized by the Kachalas. The children playfully marched around their house (like the Israelites did at Jericho) while praying for the unreached. The 10-year-old daughter, Tadala, even spoke about unreached people groups to their church! She and her little brother also broke their piggy banks and gave all of the money to their mother to give toward reaching unreached peoples. This family caught a glimpse of how God wanted to use them, and they could not help but jump on course with the Kachalas. Currently, the Kachalas are working to establish the first mission sending agency in the country. They continue to serve as Big Story Trainers with Weave, showing other families how they can join in participating in the Great Commission. The conviction of the Kachalas continues to spread. Please pray with us that their heart for the nations would reach more families, and that their relationship with Weave will continue to develop! 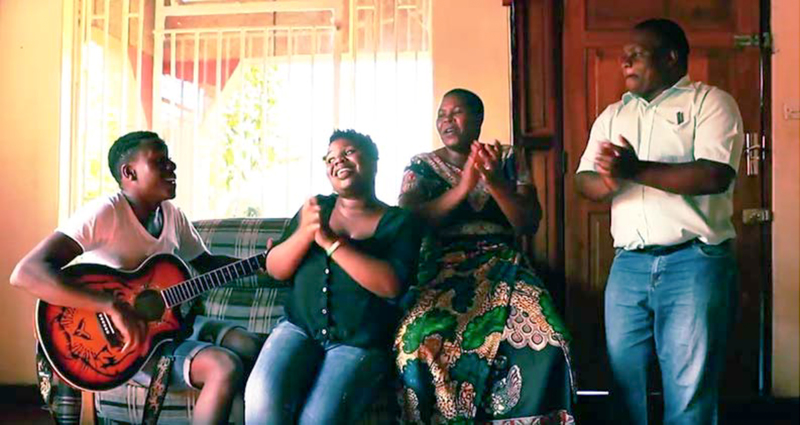 Learn more about the Kachala family by watching their story.